These are designed to look like real tickets! These are great for any event especially, your Super Bowl party, Baby shower, Bachelor, Bat or Bar Mitzvah, and sweet 16 party. Your event will be the hottest ticket in town. 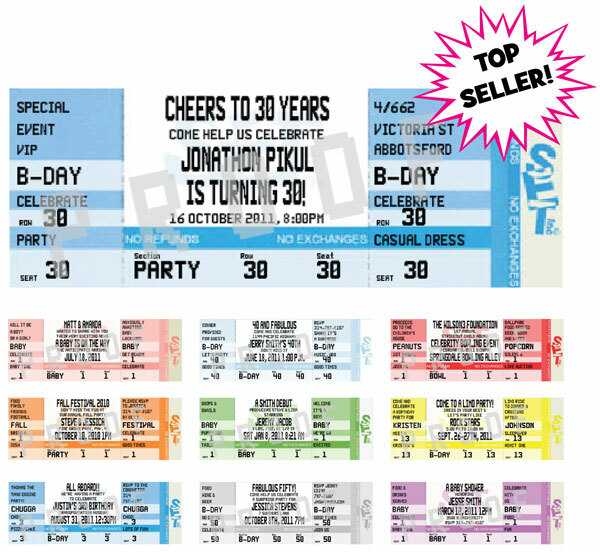 Designed to look like real tickets! Your event will be the hottest ticket in town.